Before you plan that next hunting adventure, ask yourself one question: does it make more sense to rent my hunting gear or to buy it? Most successful hunters will tell you that having the RIGHT hunting gear is paramount to their success in the field. This means being prepared for backcountry challenges, inclement weather, and handling game properly. However, this type of preparation comes at a cost. Hunting gear isn’t cheap. In fact, quality hunting gear is outright expensive. The bigger the adventure, the more demand on your gear, and the higher the price of that gear. For many hunters, these types of purchases end up being an unexpected financial burden. They end up paying thousands of dollars for gear they may only use once in their life. This may also encourage them to compromise the gear they choose to bring, leaving themselves and their ethics in jeopardy. Thankfully, times have changed. Hunters no longer have to buy the equipment; they can rent it. Renting is a perfect solution for first-time hunters, hobbyists, people on a limited budget, and those who simply want to try gear before committing to a large purchase. Renting gear also allows for greater versatility and affordability. 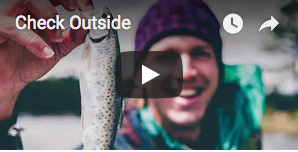 Therefore, it’s no wonder why renting is a growing trend in the outdoor industry. 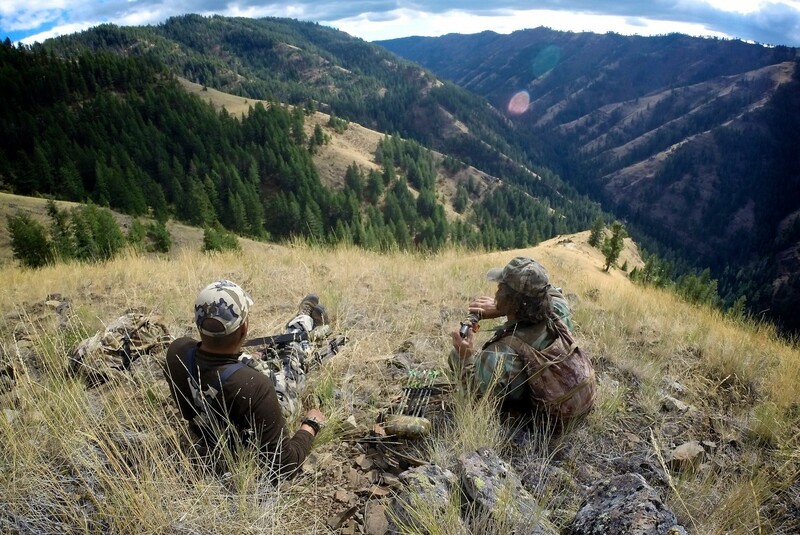 Most hunters will only embark on one or two major hunting trips in a single year. That’s often all they can afford (and have time) to enjoy. Because of these restrictions, they often choose a DIY (do it yourself) endeavor over an all-inclusive. However, most of these trips require a much greater investment than they originally planned. Big game DIY hunts require tough, reliable gear. These adventures require extensive camping equipment, hunting gear, safety gear, and additional electronics and optics (think GPS units and spotting scopes for example). These items can cost thousands in unexpected expenses. Suddenly an “affordable trip” becomes an expensive one. However, there is another option: renting. By renting gear, hunters can save a significant amount of money and space while feeling confident that they have the right equipment at the right place. Therefore, before embarking on the next major endeavor, every outdoor enthusiast should read why renting gear may be the best solution for them! One of the greatest benefits of renting outdoor gear is cost relief. As previously mentioned, most people only embark on major hunting trips a handful of times in a year. This often doesn’t justify the full cost of the equipment. For example, a wall tent for a DIY mountain trip can cost well over $1,000. That price doesn’t even include a stove, sleeping supplies, hunting supplies, or electronics. Suddenly a trip that was supposedly “affordable” is filled with unexpected gear expenses. So how can a hunter mitigate these costs? They can rent gear rather than buy it. Often times, renting can cut costs in over half. Split a rental fee between a few different parties and you’re looking at a large reduction in price for high quality and dependable equipment. That’s tough to beat. Another benefit of renting hunting gear is the versatility. Every hunting trip requires a different set of equipment. Preparing for an elk hunt in the mountains of Montana is significantly different than preparing for a whitetail hunt in the state of Kansas. This difference can be numerous pieces of gear equaling thousands of dollars. By renting gear, every piece of equipment can be tailored to each trip. This helps alleviate problems with weather, transportation, and time, while reducing overall expense. That’s hard to beat when hunters are exploring different climates for diverse game during different times of the year. Additionally, with versatility comes flexibility. Want to fly rather than drive? Rent the gear for the desired destination! This gives hunters freedom to participate in DIY trips that they may traditionally avoid due to travel restrictions. Can’t decide what equipment to purchase? What better way to make a decision than by putting it through a real world “test.” Before committing to a large purchase, hunters can literally test the equipment in real-world situations before making the investment. Everyone has been in those situations where they purchase something they never ended up using. This situation is now entirely avoidable by renting the gear first, for a fraction of the cost, and deciding if it’s needed before it’s purchased. This is just one more way renting hunting gear can save significant money over time. Purchasing large gear (and a large amount of gear) requires a place to store it. That tent? It’ll need a home. Electronics and weapons? A delicate place to be stored. Excess hunting gear? It will need bin space. For people who reside in cities, small homes, or choose simply lack excess buildings or garage space, renting can be a perfect solution to these issues. Rather than spending more money on storage units, renters can simply pay a fee to use the equipment and never have to stress over the hassle of transporting or storing the gear. Quality matters. However, not everyone can afford the top of the line brands. High prices and limited availability can make these products out of the question for many outdoor enthusiasts. That is, unless, they choose to rent. Renting quality spotting scopes, binoculars, GPS units, packs allows hunters to utilize top of the line gear. This increases both their success and their confidence. By renting hunting gear, hunters can afford the high-quality gear your trip needs that your wallet can’t provide. How often will I use this equipment? What type of storage will I need? Can I be mobile with it (fly or drive to a distant destination)? Do I fully understand the type and quality of the equipment that I’m buying? Am I sure I will need this equipment or do I think I need this equipment? By carefully considering these questions, hunters can save both money and stress when planning their next big trip. Renting gear is a great option that allows more individuals to embark on the outdoor adventures they couldn’t have otherwise afforded. It also helps assure hunters are prepared, equipped with quality gear, and ready for any adventure they embark on. CheckOutside.com is committed to providing you with high quality hunting gear for your next hunt! The renting process is easy and straight forward. Here is some of the most popular gear hunters rent! Therefore, before starting your next endeavor, consider if renting some of these items is the best option for you. It could save you time, stress, and money!